Yes, we have the map you are looking for! Whether you are studying ancient or modern history, african or american geography, world explorers or pioneers, our maps have got you covered. 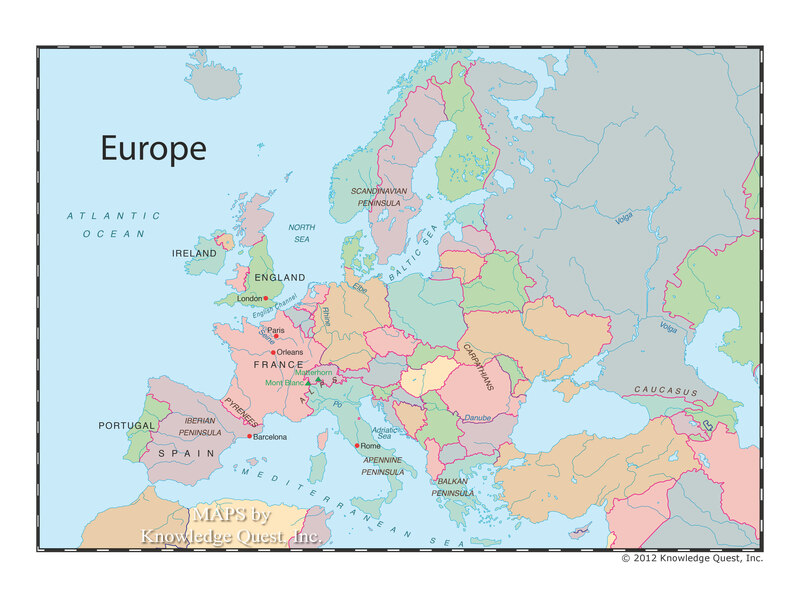 There is no better way to integrate geography with history than to pull out an appropriate map so your kids can see the "where" of history. Sometimes the perfect map can be hard to find, but not if you keep Knowledge Quest books and resources on your shelves. 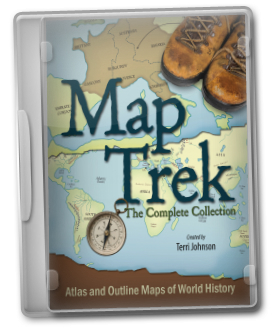 With Map Trek, Expedition Earth or Time Trek on your bookshelf, the perfect map is just a short reach away. By chance, are you learning with Classical Conversations? A local chapter just started in our community, so our youngest two children are busy learning and memorizing through songs and review. They are enjoying it. Here is a set of maps that I made for my family and local CC. Feel free to download them for your family and co-op's use. You have my permission to pass them around. All Knowledge Quest map products are on sale through Monday, October 21st at midnight. If you have any questions, please feel free to ask. Write to us at helpdesk@kqpublishing.net. We are happy to help. 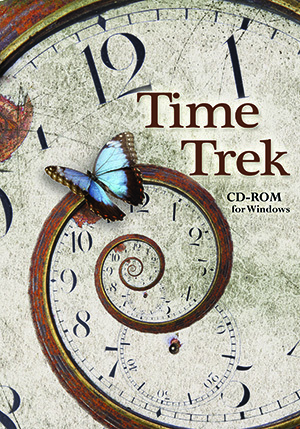 Do you prefer CD-ROMs? 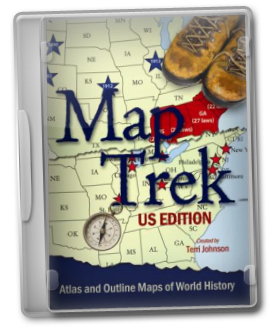 Get everything included in the hardcover book above - Ancient, Medieval, New World, Modern and U.S. maps - in this Map Trek 2-CD set! Save even more with ebooks! Again, you will receive everything in this option as in the ones above - teacher maps, student maps, every time period, plus the US edition - only at a savings, because all six files are delivered to you digitally. The files included are Ancient World, Medieval World, New World, Modern World, U.S. Edition (2 files). From the sparkling sands of Brazil to the orange groves of Morocco to the rising cosmopolitan city-state of Singapore… It’s time for an expedition! Grab your passport and let’s explore the people and places of our globe. Within these pages, you will discover the sights and sounds of all 195 countries of our world and learn about the people who live there, the crops they raise, the food they eat, the music they play, the religions they follow, and so much more. Read more and download a sample here... Limited quantity - only 100 available before they're gone!